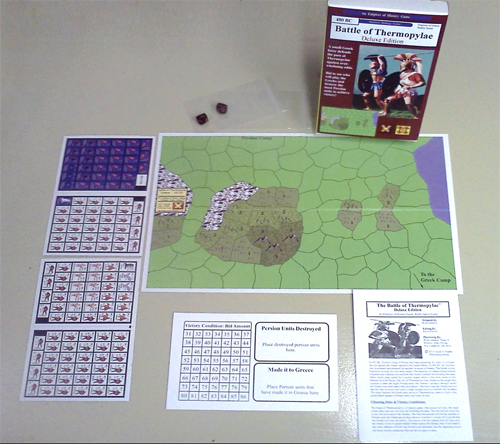 The Battle of Thermopylae, 480 BC,was fought between an alliance of Greek city-states and the invading Persian army in the pass of Thermopylae. 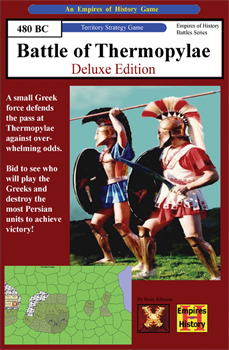 Greatly outnumbered, the Greeks delayed the enemy in one of the most famous last stands of history. Led by the Spartan King, Leonidas, a small force of 300 Spartans and 11,000 other allied Greeks blocked the only road through which the mighty army of the Persian King, Xerxes, could pass on its ongoing invasion of Greece. The massive Persian army, numbering well over 150,000 men succeeded in defeating the Greeks but sustained heavy losses, disproportionate to those of the Greeks. A local resident named Ephialtes betrayed the Greeks, revealing a mountain path that led behind the Greek lines. Dismissing the rest of the army, King Leonidas stayed behind with 300 Spartans and 700 Thespian volunteers to delay the advance of the Persian army as long as it could.